This time of year, many people are harvesting from their gardens. My husband and I have a shared garden with some friends that we tend together. This year we planted several types of tomatoes, peppers, peas, garlic, zucchini, yellow crook-neck squash, and watermelon! While most have done great, we had to replant a couple as they either died or got eaten by rabbits roaming the neighborhood. As we have are harvesting, we enjoy the bounty and forget all the hard work that has gone into it. We have the harvest! It’s fantastic! We get to feast on the bounty we grew! We can, preserve, and eat our way through more tomatoes than we can imagine. But as we harvest from the garden, we have to remember all the hard work that went into it, and decide if a garden is worth it to you. While the harvesting part in lots of fun, there is a lot of hard work that goes into it. Here, I’ve laid out some of the benefits, plus costs of having your own garden. Home grown produce! You know exactly where it came from, how it was grown, when it was watered. Satisfaction: There is tons of gratification in growing your own food. All the toil and sweat is worth it! You started with dirt and seeds and ended up with carrots! Tomatoes! Watermelon! The satisfaction of working with your hands and reaping the reward is immense. Learning hard work, perseverance and patience. A garden is a great tool for teaching both adults and kids these values. If you don’t continually work at it, it will fail. If you don’t persevere and try again, you won’t succeed. This year alone we had to replace several plants that died or were eaten, but now the plants are giving us tomatoes and watermelon. Vegetables don’t grow overnight- you have to patiently tend them. A garden also teaches very directly the law of the harvest: the harder you work, the more you will harvest. Self-Sustaining: If you have enough space, you can grow a ton of produce, can, freeze, or preserve it and live on it all year round. This helps cut costs, provide nutritious foods, and teach self-sufficiency. Time! Lots and lots of time. Weeding, watering, planting, protecting, harvesting, tilling, and more. Tending a garden is a huge time investment. You can’t leave it alone too long, or it dies. Weeds can overtake the good plants if you don’t regularly weed. Even before you plant, you must prepare the soil. Planning what to plant, buying the plants all takes time. Upfront cost: Buying seeds, starts, protection, and all the materials to start the garden is not always cheap. Cones to protect from cold or heavy rain, containers to start the seeds, fertilizer, chicken wire to keep out bunnies (yes, we have bunnies roaming our neighborhood). All these things will cost. Space. Gardens take up space that could be otherwise used. Our friends use almost half the good, open space of their back yard for a garden, when their three kids would love more grass to play on. Hopefully these points will help you decide if a garden is right for you! If so, start planning and preparing now for next spring! You can do it! 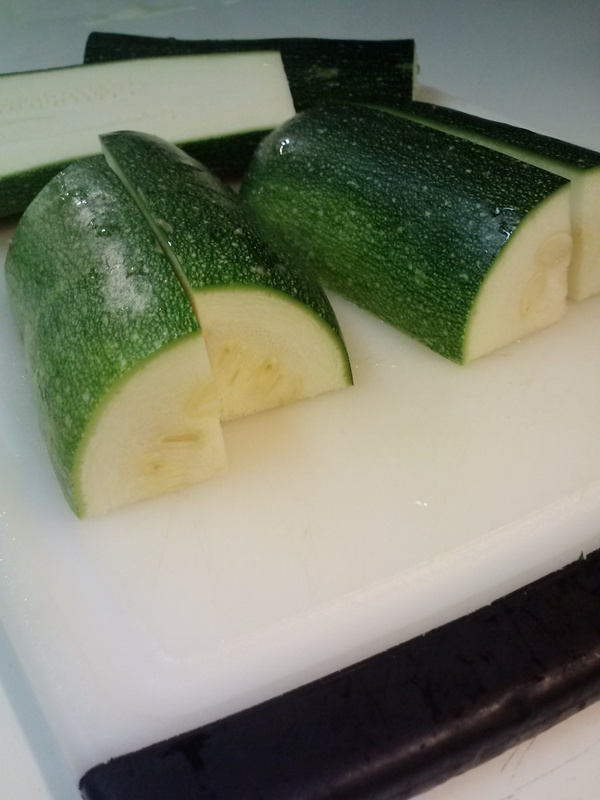 One of my favorite recipes that I use this time of year has zucchini in, and I love to use my freshly harvest zucchini! 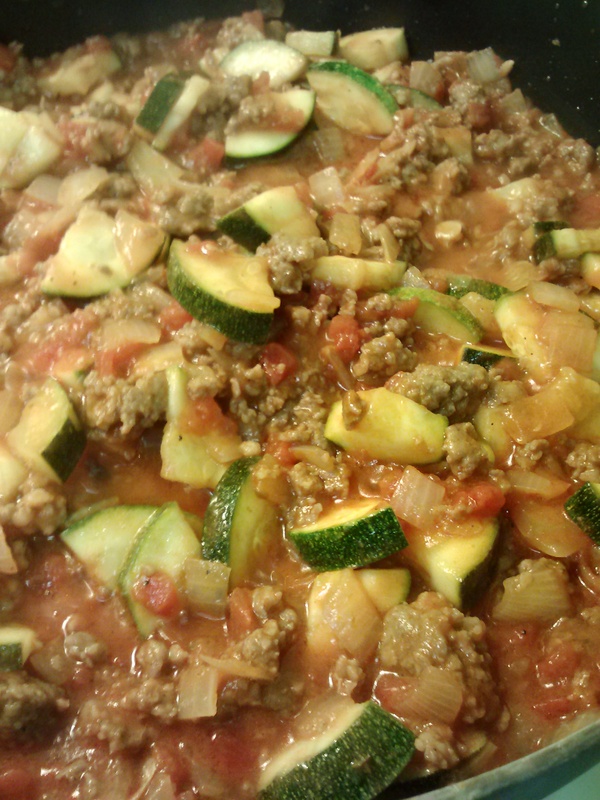 The mixture of the sausage, zucchini and tomatoes makes this a great comfort food, especially as the nights start getting chilly this time of year. The leftovers are even great! Enjoy!